The NBA Playoffs resume at Scotiabank Arena Saturday afternoon as the Toronto Raptors host the Orlando Magic. Orlando has not made the postseason the last seven years. They should be highly motivated to take on a surging Raptors team. The season series was split 2-2, with both teams winning a game on the other team's home floor. Nikola Vucevic is a freaking stud. If you haven't had a chance to watch him yet, I highly recommend making some popcorn, grabbing your favorite beverage, and tune in for a show. He's averaged 20.8 points per game, 12 rebounds, and has a 25.53 player efficiency rating. The Montenegrin was drafted by the 76ers in the 2011 draft coming out of USC and was traded to Orlando in 2012. Philadelphia's loss. Aaron Gordon, Evan Fournier and Terrance Ross are the other Orlando players to watch. All three of them average about 15 points per game. The Magic went 10-3 against the spread and 11-2 straight up over its last 13 games. They are a fantastic 45-36-1 ATS this year, and have trended towards the under at 38-44 O/U. They are 3-1 ATS vs Toronto this year and 1-3 O/U. Orlando lately, however, has trended towards the over with eight of their last 10 games going over the total. 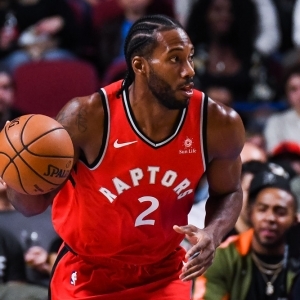 Toronto took a chance and traded away their star player last year, DeMar DeRozan, along with Jakob Poeltl, for Kawhi Leonard, Danny Green and a protected 2019 first-round pick. Talk about a fantastic move! This is probably the best team, on paper, the Raptors have ever had. They went 53-29 this year, and 32-9 at home. Everyone knows about Kawhi. He does, however, have a fantastic supporting cast around him. Pascal Siakam, Serge Ibaka, and Kyle Lowry all average around 15 points per game and the mid-season addition of Marc Gasol has been good. He brings a lot of experience and averages 6.6 rebounds per game. Toronto went 37-44-1 ATS this year and 45-35-2 O/U. They are eighth in the league at 114.4 points scored per game, and sixth in the league from downtown at 37 percent. They give up 108.4 points per game on average and are 10th in the league at creating turnovers at 14.3 percent of possessions. Playoff experience might be an issue with Orlando. D.J. Augustin is the only player with more than five playoff games under his belt. As opposed to Toronto, who have a combined total of more than 400 playoff games! Word on the NBA street is Steve Clifford could receive some Coach of the Year votes. He led the Charlotte Hornets to the playoffs twice. Once in 2013-2014, and again in 2015-2016. Both endeavors resulted in a first-round exit. He has the Magic believing in themselves. He has turned the culture around in his first year, and the future looks bright in Orlando. Nick Nurse has been a great first year head coach. It's his first stint as a head coach, however he has not disappointed. He had some big shoes to fill stepping in for Dwane Casey. Last year Casey won Coach of the Year and still lost his job (he got the Pistons job immediately thereafter). Unbelievable. I guess no job is safe in the NBA. Nurse has benefitted from the Kawhi trade and has his team in a good position to make a run in the east. The ATS trends favor Orlando, and Toronto plays well to the over. I would think as far as the side, keep Orlando in mind as I think they can be an active dog all series. I do see a lot of scoring early in Toronto, so maybe look at the over the first couple games. Make no mistake, Toronto is highly motivated to get to the NBA Finals. They couldn't knock the door down with DeRozan, but Kawhi's team is different. He will want to show the world how great he is as he has options this offseason to move on if he wishes. Gasol has never been on a team this great, and I think the postseason experience will be the difference at the end of the day.